Restaurant owners and operators are under pressure. 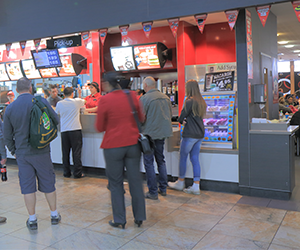 Increasing labour costs, high levels of employee turnover and variable commodity costs mean that even the most profitable restaurants are seeking to drive efficiencies and generate savings across their locations. By automating manual tasks such as counting (and recounting) cash drawers, setting start banks, or preparing bank deposits; restaurants owners can save around 60 labour hours per restaurant, per month. For the typical QSR with 4 registers, that’s a saving of over 700 labour hours a year. Pretty impressive for a technology that has a full payback ROI of less than 6 months. To find out how Tellermate can help your restaurant reduce operating costs, increase efficiency and cut labour costs with our intelligent cash management solutions, click here.